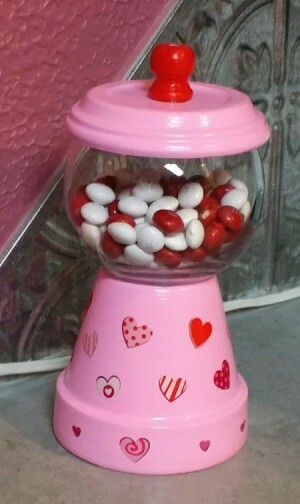 Make this cute, inexpensive candy machine for Valentine's Day or decorate for any occasion. It makes a nice gift for a friend or co-worker. 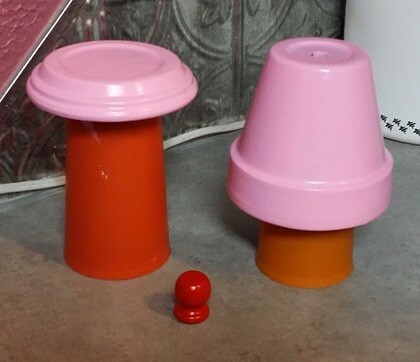 Paint pot, saucer, and knob. Allow to dry about an hour. 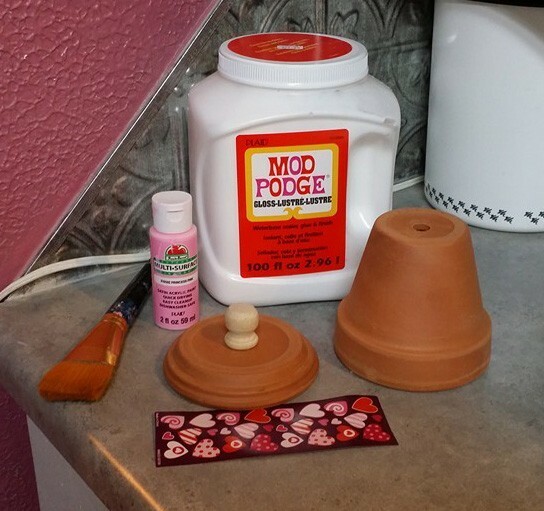 Apply Modge Podge with brush (this makes it easier later if you need to reposition decal/sticker). Decorate by applying decal or stickers. Apply Modge Podge with brush. 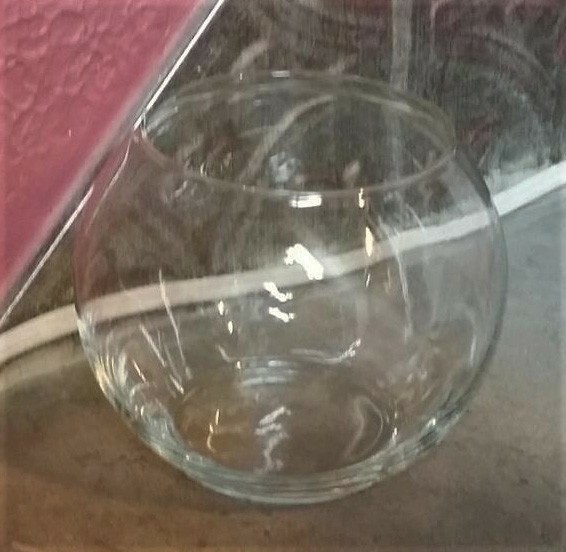 Attach glass bowl to pot with E6000 glue. Attach knob to saucer with E6000 glue. Allow to set for 24 hours to make sure glue is set. Fill with your favorite candy or gumballs. Were do you find the saucer and knobs. I like this. Hi! I have a question. Did you paint the underside of the pot that is the lid that you won't see? Thanks!